Product #616 | SKU BE1002FX | 0.0 (no ratings yet) Thanks for your rating! Weighing in at just 2.3 pounds, the XENYX 1002FX is the portable, practical way to turn a small performance with two vocalists into a mesmerizing event. Keep it casual, or dress it up in a 24-bit digital ball gown – with the XENYX 1002FX, anything is possible. Lending optimum sound quality to small-scale performances has never been this easy or affordable. 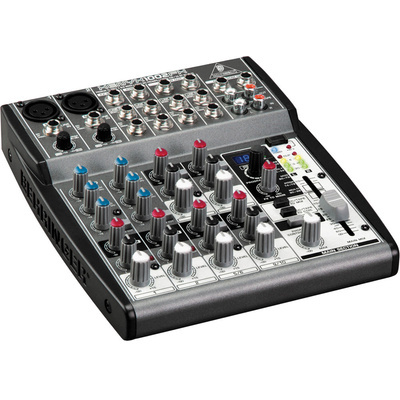 The XENYX 1002FX provides extreme versatility at a price other mixers in this class simply cannot touch.